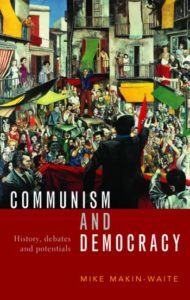 Mike referred to his recently published book: Communism and Democracy. He set out a number of dimensions of the 1968 events – the rebellion against authority and the reinvigoration of the left, the development of a new counter-culture, but also the wider global political context, with the Tet offensive in Vietnam, the assassination of Martin Luther King, the election of Ronald Reagan as governor of California, the return to power of de Gaulle in France, the student movement in Japan, massacres in Mexico and the cultural revolution in China. He referred to the growth in identity politics, but argued that the state neutralised this subversive potential through the promotion of individualism, consumerism, and neo-liberal economics which supported individual entrepreneurism as opposed to collectivism. He noted that following the defeat of reform communism in Czechoslovakia, Western communists had increasingly rejected the Soviet model and that Eurocommunism had put democracy at the heart of communist politics. This also generated reform movements such as Charter 77 in Czechoslovakia and European Nuclear Disarmament (END). 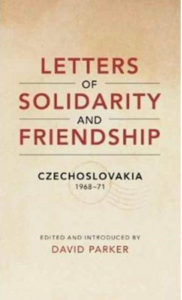 David focused his talk on his recently published book: Letters of Solidarity and friendship, which comprised a correspondence between his father, Leslie Parker and a Czech doctor, Paul Zalud between 1968 and 1971. Zalud was a reform communist who wrote about the Husak regime operating as a police state with the introduction of loyalty tests and the requirement to report all foreign contacts and to write political reports on colleagues. Zalud viewed the ‘normalisation’ process in Czechoslovakia as the introduction of a ‘monstrous oriental despotism’ and reflected on what he saw as the advantages of ‘bourgeois democracy’. He argued that a social revolution did not in itself replace capitalism and exploitation that democracy was central to the establishment of a socialist or communist state. He also stressed the centrality of ethics. Leslie Parker however remained optimistic that communism in Czechoslovakia and other soviet states would become more democratic, welcoming moves towards liberalisation in Poland. 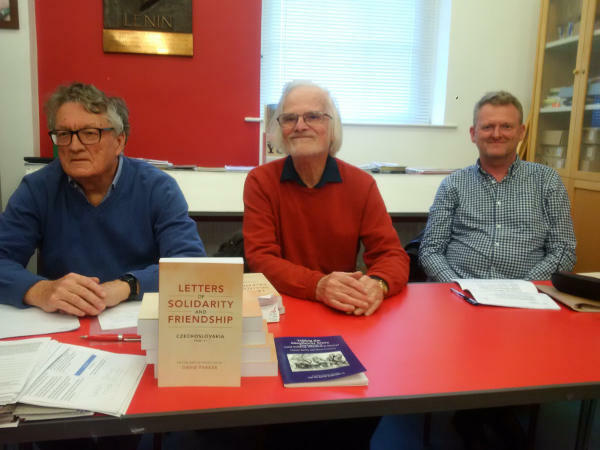 Mike in his comments on David’s talk noted the high level of political discussion in the correspondence and also the development of a strong friendship between the correspondents. He noted that the Czech dissidents were seeking reform communism rather than the replacement of communism by capitalism. He also noted the use of state power, especially control of television to ensure the political disengagement of the Czechoslovakian population and argued that the use of force reflected the failure of political argument. The discussion which followed raised issues such as whether or not 1968 was counter-revolutionary, the role of Gramscian thought in reform communism, the positive and negative impacts of the growth of identity politics both in 1968 and in contemporary discourse. There was agreement that socialism needed democracy and that democratic rights were critical whether or not they were perceived as bourgeois.